Seeing the world through another person’s eyes is central to the experience of being a highly sensitive person (HSP). There is now a documented, replicable fMRI study showing that HSPs demonstrate stronger empathy than do others in tests involving reactions to images. This scientific evidence is not news to the over one billion HSPs worldwide who consistently absorb the energy of others and feel their viewpoint. For many HSPs this experience of high empathy may be overwhelming, especially so in career where interactions are forced and there is little choice with whom we relate. The experience of empathy was the single biggest factor that I noted in two studies investigating HSPs and career. In this short article I will address several aspects of empathy and provide a framework coping strategy you may use in your daily life. First, let’s examine the part of being highly empathetic that causes many HSPs to feel overwhelmed. Highly sensitive people, as highly empathetic individuals, pick up on the energy of others to a far greater degree than do others. This includes positive and negative energy. HSPs tend to process all experience more deeply in the brain, thus all of this intake of energy may be a spontaneous flood of emotions. When the energy is positive the HSP may benefit from the interaction or the individual(s). Conversely, when the energy is negative the HSP experiences the effects far more deeply and may feel like they need to withdraw or escape what may feel painful, irritating, or annoying. In a working environment we come into contact with a variety of individuals on a daily basis, depending on the exact nature of the position, with little control over sudden influxes of negative or overwhelming energy from others. I once worked as a technical support representative for a school yearbook printing company assisting customers over the telephone with software issues. I never knew from call to call what the customer’s energy would be like, but I felt it very deeply when the person was upset, exasperated, or irritated. I also felt it very deeply when the individual was upbeat, positive, or enthusiastic. I had few of those as you might imagine. For the most part the customers were stuck on one issue or another and needed help to get back on track. At the end of each phone call, whether positive or negative, I often felt exhausted and prayed for a break. Very often, however, I had no sooner hung up the phone before another customer called or was already on hold. These instances were not continuous, there were busy days and slow days, but overall the job was demanding with little in the way of recognition, except from the occasional customer who praised my performance to my superiors. Those instances felt like validation and buoyed my spirits for the duration. Many HSPs may or may not receive much in the way of feedback from co-workers or superiors. HSPs in two 2014 studies cited lack of feedback (of any kind) as a primary factor in their feelings of disillusionment with their job. All of the participants reported feeling overwhelmed by the energy of others and needing to withdraw (or feeling like they needed to even if they could not at the moment). For those HSPs who experience great difficulty managing their high empathy the working world may be a literal minefield of emotionally charged interactions around every corner. Many HSPs in my studies reported leaving positions because of particularly negative superiors, co-workers, or overall situations. There are larger implications for HSPs if they do not learn to manage empathy. Let’s carefully examine a few before we move on to what you would likely really value reading about. First, the continual intake of energy is exhausting and when that energy is particularly draining the HSP may experience symptoms of burnout, alienation, depression, and anxiety. This may lead to diminished job satisfaction, a desire to quit or move to another position, and disillusionment with a company culture that supports, encourages, and tolerates overwhelm. Second, the ramifications of burnout may begin to affect other parts of one’s life such as the quality of interactions with family and friends. Individuals who feel emotionally burned out have little emotional energy left to devote to anything else and set themselves up for depression and anxiety. This can lead to job instability as one searches for work that is more manageable with resultant instability in income leading to more depression and anxiety as bills continue to demand payment. Lastly, the cumulative effects on one’s health may be dramatic as the immune system experiences stress. The individual’s energy level may drop, ill health may follow, and some HSPs may withdraw out of self-preservation. This withdrawal from life may prove quite difficult to emerge from as anxiety sets in about new positions. The HSP may also seek counseling and are often prescribed addictive medications and diagnosed with any number of disorders. With all of this is there an upside? 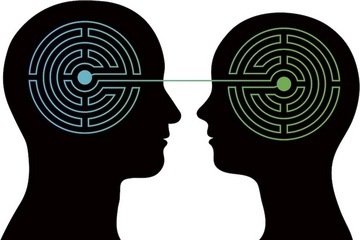 How can we manage empathy so that it is a force for constructive purposes in our lives? The experience of empathy is certainly rife with challenges and surprises, yet there is a silver lining and empathy can be managed so that it is a positive in our lives. Let’s look at a few ways we can learn to manage empathy. 1. Developing an awareness of our propensity for being highly emotionally reactive to others other’s energies is key to managing overwhelm. Rather than wondering why we may feel so stressed around certain individuals now we know it is our high empathy that predisposes us toward overwhelm and we aren’t somehow “broken” or “defective.” Our high empathy is part of a likely survival strategy for the species as a whole. Highly empathetic individuals serve a purpose in every society and in every age. That purpose is entering the experience of other people, feeling the world through their eyes and hearts. In a single word compassion. Compassion is surely an advantage in any society where one does not desire a deep imbalance favoring one narrow interpretation of life. 2. Finding acceptance of our high empathy may take some time as we reconcile our lives and reflect on how we have managed our reactions to others. HSPs are simply people with a not so rare personality trait. We have to learn to forgive ourselves for our failings and accept that our high empathy is a proposition that includes a good and bad side. To do this we must move beyond societal conditioning which often tells us that any experience of negative emotion is abnormal and any deviation from an arbitrary social norm should make us alter our behavior. Own being highly empathetic in your own way! You are a treasure and have much to offer those around you and potentially the entire world. 3. Adapting our lives to manage our high empathy means we have to become very adept at learning to set and stick to boundaries. When we are in a situation where we are being lambasted by overwhelmingly negative energy we should withdraw or stop it before it progresses. This includes our own words and deeds. Being a reactive, emotionally charged individual is a challenge at best. Adapting our lives to being highly empathetic means we must choose the people in our lives in as much as possible. Many HSPs remain in jobs that are toxic to them for far longer than they should. For some this is a necessity and I do not suggest that they necessarily quit or seek other employment. The cold truth is some HSPs are stuck in their jobs with mobility not a possibility. In these cases the individual must become very good at self-care, which means they must get enough sleep, refrain from depleting their energies further off the job, and develop a spiritual practice that focuses their attention on something greater than themselves. By spiritual practice I mean any dedicated activities that provide one with a sense of peacefulness, calm, reflectiveness, or that allows one to focus on the activity at hand. This may organized religion, but may also very well be any activity that produces a similar effect such as walking or spending time in nature, riding a bike or motorcycle, swimming or spending time in the water, meditation (sitting or walking), exercise, yoga, or even a hobby that takes one out of normal experience and produces a sense of calm and mastery. The point is we HSPs must develop and maintain our physical, emotional, and spiritual health as if we are adhering to a religion. Self-care must become a spiritual practice for HSPs, not simply something we occasionally do when the weather is nice. Adapting to being highly empathetic also means being willing to step outside our own comfort zones and take risks on interactions. The rewards of a positive interaction make any risk a high return investment. Unfortunately many HSPs report feeling that they need to protect themselves and rarely move beyond that space. In some cases this may be the best recourse, but one should always seek better conditions where well-functioning is a possibility. 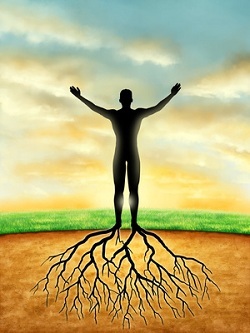 If we successfully learn to become aware of our high empathy, accept that it is who we are, and set boundaries we can begin to effectively show up in the world as integrated beings who have a wonderful capacity for understanding of others, a compassion for providing the care so many people need, and we live our lives in a meaningful way that honors and respects our abilities. A study I conducted in 2014 with 1,551 survey respondents indicated that the single biggest career field HSPs are in is the education field followed by creative fields, healthcare and human services, business management, IT, and STEM fields. In effect HSPs are in all professions, but seem to prefer the helping careers the most. 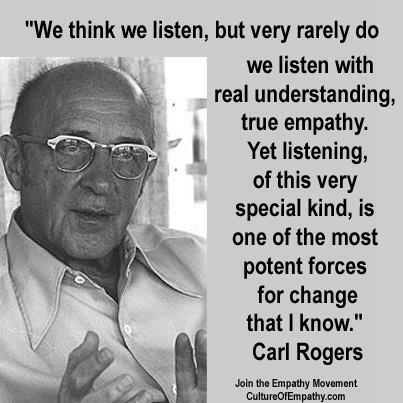 As a college teacher I often reflect on the value of empathy when I look for ways to connect with a particularly distant student or design lessons that go deeper into the subject matter. HSPs make excellent teachers, excellent nurses and doctors, excellent leaders, excellent programmers and developers, and innovative engineers and creative types. It’s not a matter of stifling our high empathy it’s more a matter of simply learning to effectively manage and harness its inherent potential for constructive purposes while acknowledging we are prone to being deeply affected in certain circumstances. High empathy can be managed and is a tremendous asset to the species. Learning to apply this approach to the working world is a bit more complex, but as we have seen HSPs already exist in all career fields at all levels. HSPs are not relegated to any career or type of work. I highly recommend the practice of mindfulness. Mindfulness is exactly as it sounds, being aware of one’s life and how we react to the events that take place within it. Mindfulness entreaties is to be aware of our breathing as a way of focusing our attention on our bodies rather than our minds. Being able to self-sooth is a critical skill for HSPs and observation of the breath, even for a few minutes, has been demonstrated in many studies to lower blood pressure and calm anxiety. 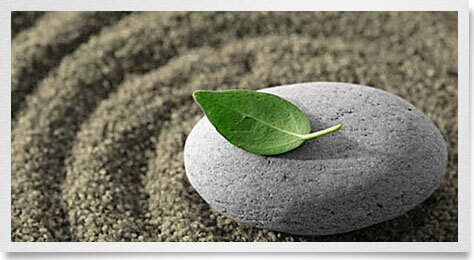 Here is a link to a free eight week program of mindfulness training I recommend. Give it a try and see if it makes a difference in your life. It is through developing a greater awareness of our potential that we can begin to set intentions to better them and, in doing so, better the lives of those around us. I consult with HSPs on the issue of high empathy in the workplace on a regular basis. I also offer informal mentoring for those who feel they need a transition structure to work within with accountability. To inquire about a consultation with me please click below for more information. Dr. Tracy Cooper holds a Ph.D. in transformative studies from the California Institute of Integral Studies in San Francisco. He also holds a master’s degree in social science and a bachelor’s degree in social science and art studies.